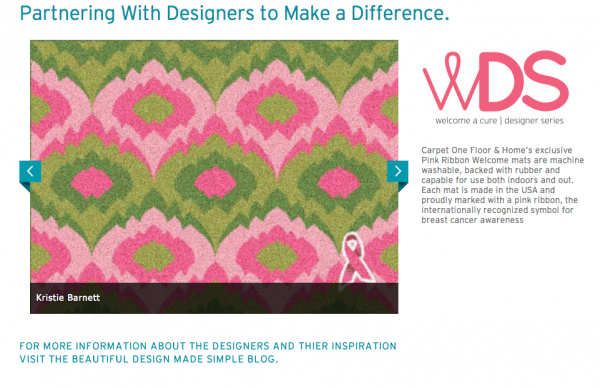 So when Carpet One Flooring asked me if I would design a welcome mat to aid breast cancer research, guess what I said? It’s October and that means it’s Breast Cancer Awareness month. This cause is important to so many people – not only the women affected by this disease but their families and friends, too. 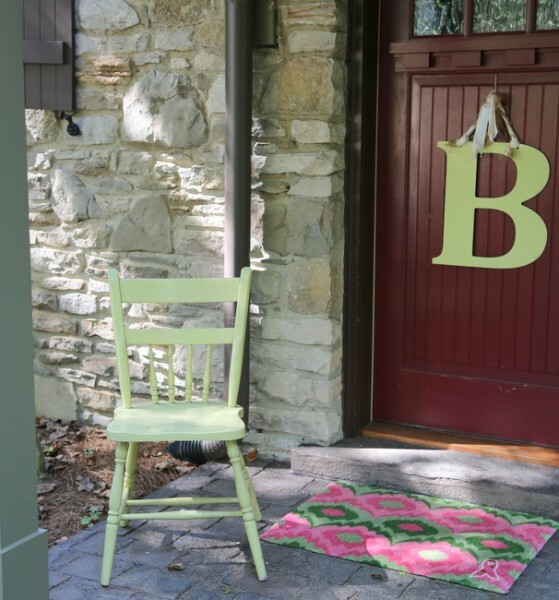 For that reason, 12 interior designers and stylists have partnered with Carpet One Floor & Home to create a new collection of pink ribbon welcome mats. The welcome mats are available year round so they’ll be featuring a different designer’s inspiration every month, but you can check out all the mats any time at CarpetOne.com/Welcome-A-Cure. 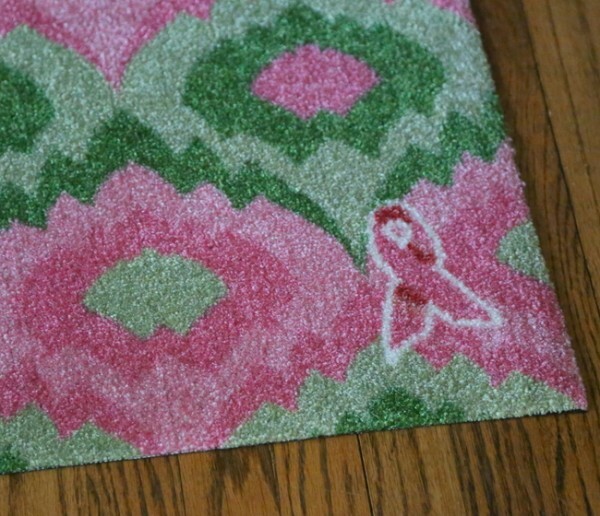 25% of the purchase price of each Pink Ribbon welcome mat sold through the Carpet One Floor & Home is donated to The Breast Cancer Research Foundation®. So far, the campaign has raised nearly a million dollars for a variety of breast cancer research charities. The mats are designed to withstand conditions both indoor and outdoor; each complete with a sturdy rubber backing and a pink ribbon to remind people of the cause each mat stands behind. All of Carpet One Floor & Home’s welcome mats are stain-and-water resistant and machine-washable. 1) Leave a comment below and mention one of my blogposts that you’ve particularly enjoyed. 2)”SHARE” this post to Facebook, Twitter, or any other social media channel you like. Make sure to tell me where you shared! I’ll let you know next week which 5 of you wins a rug. I know this is a small thing, but it’s a big deal to me. The next time someone asks you to do something you’ve never done before, why not to take a chance and see what you can do? You’ll never know until you try! This entry was posted in uncategorized and tagged breast-cancer-awareness, breast-cancer-research, carpet one, decorologist, designer-rug, giveaway, welcome-mat. is a 10+ breast cancer survivor! And how wonderful you designed a rug! 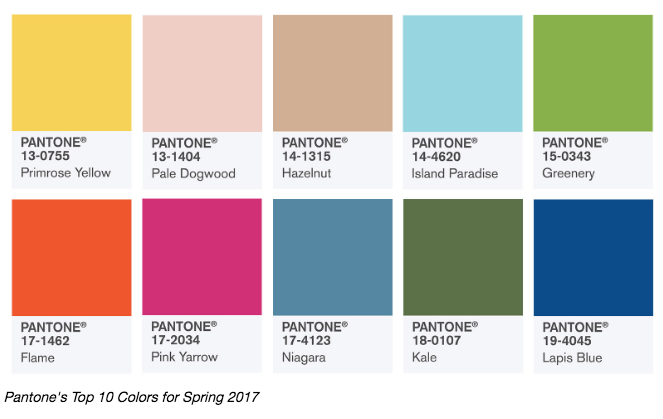 The pink & green is gorgeous…..now I can’t wait for spring! 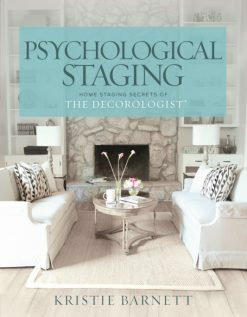 The blogpost I enjoyed was the reveal of your assistant’s living and dining space redo….with the re-painting…..it was gorgeous! 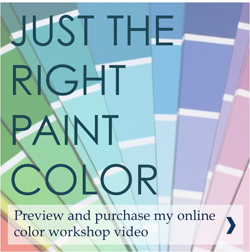 You can really pick a paint color! I love all of you post, but i really loved the work you did at your assistant’s house and the posts about that. I am sharing this on twitter. I really enjoyed the posts of the transformation of your assistant’s home. Love the cause and the color combination. Reminds me of flowering kale that is perfect plant for October and to reminds us of Breast Cancer Awareness Month. The two would work perfect together. The rug is a beautiful design of how we can all do our part to bring awareness to a dreadful disease and save lives…both men and women. I lost an uncle to breast cancer but my mother in law was a survivor. Thank you! I will share with all my Facebook friends. Having lost an uncle and having a mother in law that survived breast cancer I thank you for taking on the challenge of designing the rug. It is perfect for the October weather and reminds me of flowering kale so it will survive whatever the weather and remind us of Breast Cancer Awareness Month. Great design for a great cause. 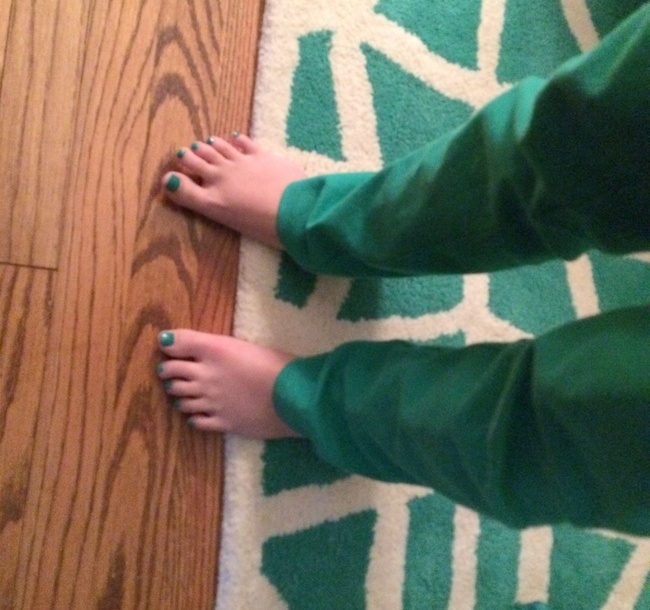 Love the rug, Kristie!! Thanks for the “How to Style Your Bookcases with HomeGoods”. Very helpful!! I love that you were part of this great effort to raise awareness and that you created something lovely and vibrant for the home! I recently took your advice and visited Bella Rustica for the first time (last Saturday!!) and walked away feeling very inspired and grateful for this community of authentic people! 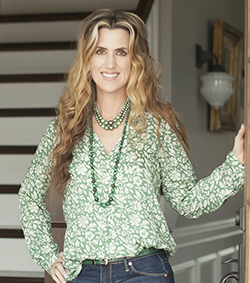 I liked the blog showing your design assistant’s redesigned home. You worked so well together and made some beautiful changes. As a 5+ survivor I look for subtle ways to show support and I take a not so subtle approach to encouraging my girlfriends to stay on top of their yearly mammograms. I especially liked this post for those reasons. I’ll share on FB. 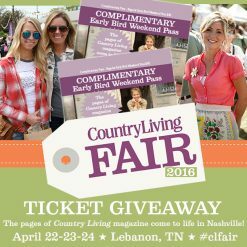 i love your work and enjoyed the post of the barn sale last week. I love when you call out paint colors on the projects you do. I ‘m a sucker for all the posts with vintage finds, and also especially loved seeing your Downton Abbey dinner party. Kristie, Is there anything you can’t do???? The rug is beautiful and for a great cause. I love all of your posts, but the karate chop pillows had me rolling! I enjoyed the new farm house in Nashville both the interior and exterior. Using black for the interior windows and beams proved to be unique and up to date. I am sharing this on Facebook. Hi there, Nice rug! Would look swell in my house! 🙂 I shared this post on Pintrest. And I love your holiday decorating ideas. I used a few of your Halloween ones from last yrs display and I have been thinking of your 3 tree display for Christmas last yr. I’d like to try something new & unexpected like that this yr. Thanks for all the tips you share. I shared to pinterest. Love all your blogs especially what you do in your own home! LUV LUV LUV it! But then again , there isn’t much you do that I don’t adore! Thanks for supporting such a great cause with your creative genius! What a great idea! I love your rug. My favorite post is Belgian Chic. Thank you for all of your inspiration and education. Oops! I shared on FB. I love your rug may design for breast cancer awareness. The pink represents the month well and the green combination is a happy and hopeful touch. I love all of your blog posts and am inspired,but them all because they are so helpful. The one I keep going back to and referencing however is the one where you painted the rafters in a vaulted ceiling as well as the fireplace in gray. I would never have thought of that color and it completely transformed the room. It made it so. Much lighter and brighter and modern! I do wish I had proof read my post because I cannot type! So sorry! It is so much lighter and brighter and modern! I think all your posts are wonderful, but this one especially because it’s so true. We don’t know what we’re capable of, usually so much more than we think. You’re rug is adorable. I have enjoyed almost all of your posts but the two that I loved were the Christmas Trees in front of the living room that you decorated and also I love your dining room. I so want it. The Breast Cancer Awareness rug is divine. You are a talented lady. 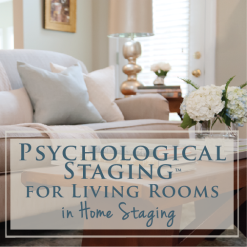 I got some of the best ideas for staging our condo to sell from your blog. I tell everyone about it! Thanks so much for all the inspiration. I enjoy all your posts, this one touched me having lost my mother to breast cancer. The rug is beautiful! You are so talented! I will share on FB. I shared & liked on Face Book !!!!! I love your rug design! It is very pretty! My Mother is a breast cancer survivor of 27 yrs. I think it’s great to have such a happy rug to greet you! 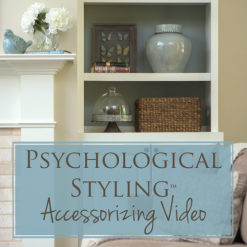 One of my recent favorite posts is when you were styling a bookcase. I need help in that dept. Is that a trick question? I so enjoy all your blog posts and am learning so much from you. This rug design is so beautiful in pattern and colors used. Well done! And you have inspired me to also not be afraid to try new things! All your blogs are interestin, but recently found the how to fill your bookcases useful. I especially like the idea of painting the back of the bookcase a different color. Makes everything on the shelves pop. 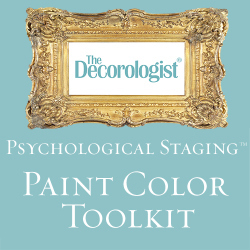 Kristie, I love your blogs on home decorating and color schemes. You are so talented. This rug is beautiful. I am a 7 year survivor; diagnosed at the age of 34. I absolutely love Pink October and every year I purchase something special to celebrate the month. I send hugs to all my cancer sisters and thank you for acknowledging our fight. 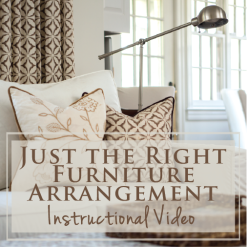 I shared on FB, and my most favorite blog posts are before/afters, esp furniture arrangement. I believe the current stats are that 1 in 8 women get this horrible disease. That’s a LOT! What a wonderful idea from Carpet one, to bring even more focus to this worthy cause. Your carpet is gorgeous and I’d be thrilled to win one. My fav post was where you showed the same colour on the wall, as the ceiling and how different it looked! Shared, and big hugs to all the survivors fighting this disease.